First, the hamburger was practical, then he became a cult. From Hamburg many emigrants started their journey to the "new world". There was also a snack "round warm", in which a meatball was placed on a wheat roll and doused with sauce. Erst war der Hamburger praktisch, dann wurde er zum Kult. Von Hamburg aus starteten viele Auswanderer in die "neue Welt". Hier gab es auch einen Snack "Rundstück warm", bei dem eine Frikadelle auf ein Weizenbrötchen gelegt und mit Soße übergossen wurde. Directly down from the ship and with fresh ideas from Hamburg, "Louis Lassen" opened a snack bar in New Haven. Allegedly around 1900, the hamburger was invented there. Could this have been the birth of the hamburger? First there is the bread roll, and the meatball. Whatever is good with it is salad, onion and a cheese slice. Direkt runter vom Schiff und mit frischen Ideen aus Hamburg hat "Louis Lassen" eine Imbissbude in New Haven aufgemacht. 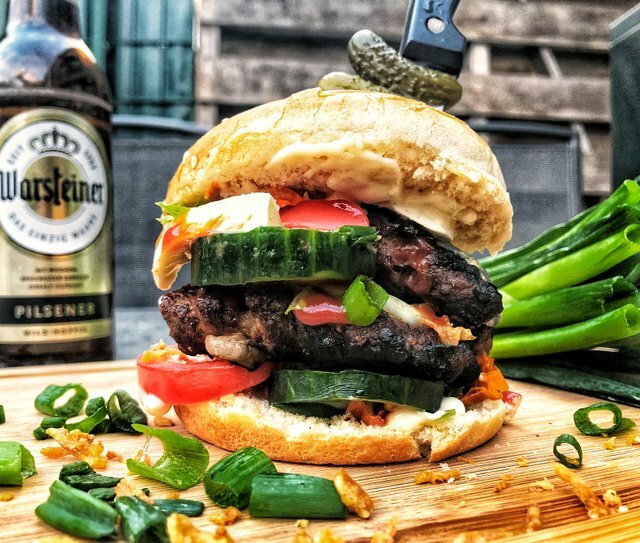 Angeblich soll um 1900 herum, dort den Hamburger erfunden haben. Könnte dies die Geburtsstunde des Hamburgers gewesen sein? Da wäre als erstes das Brötchen, und die Frikadelle. Was immer gut dazu passt, ist Salat, Zwiebel und eine Käsescheibe. 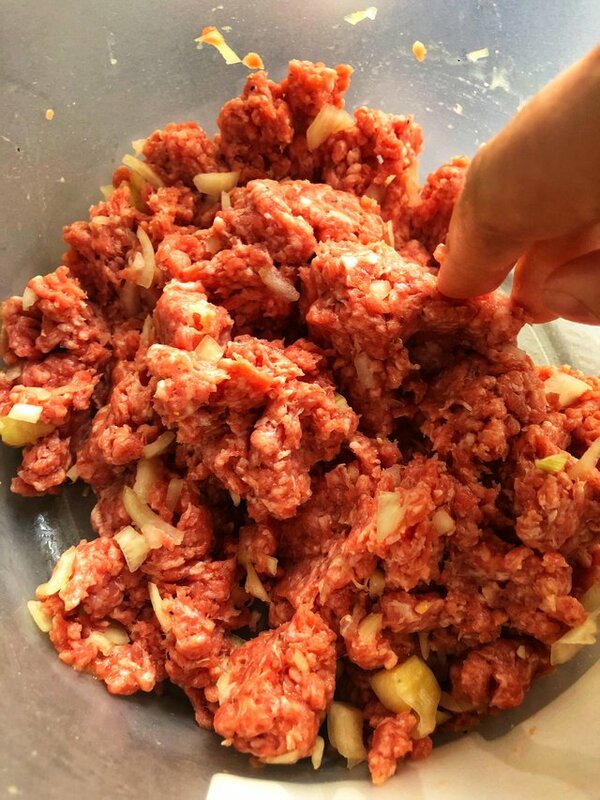 On this point a special thanks to @muscara and @bearded-benjamin for the ideas to put some onions, egg to use beef minced meat and other stuff :-) i will present you later. 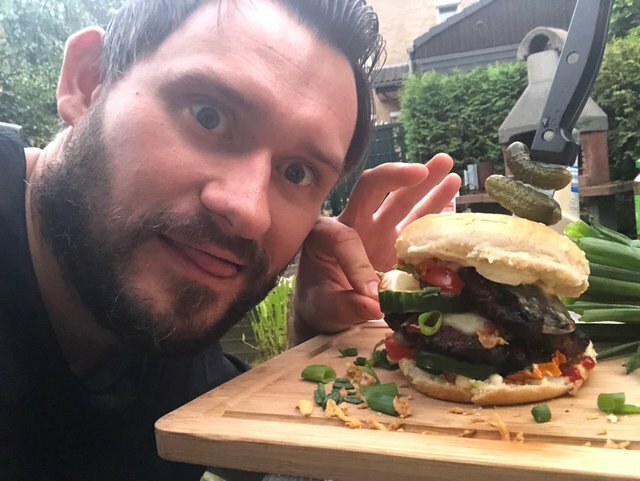 An dieser Stelle ein besonderer Dank an @Muscara und @Bearded-Benjamin für die Ideen, einige Zwiebeln, Ei Hackfleisch und andere Sachen zu verwenden :-) Ich werde später berichten. Finally, a solid proof! 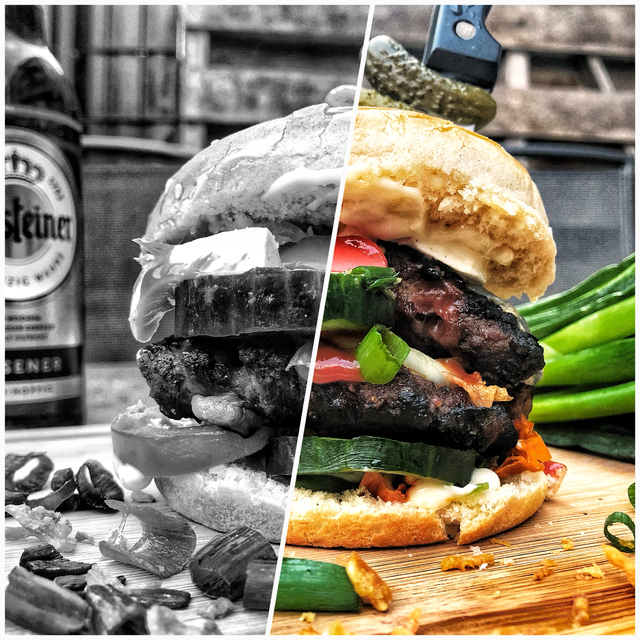 At the 1904 World's Fair Hamburgers were made by the Texan Fletcher Davis according to today's recipe. They were sold in a patty made from minced steak, onion, cucumber and mustard. But my home-made burger patties will arrive today at 800 ° in the Beefer. 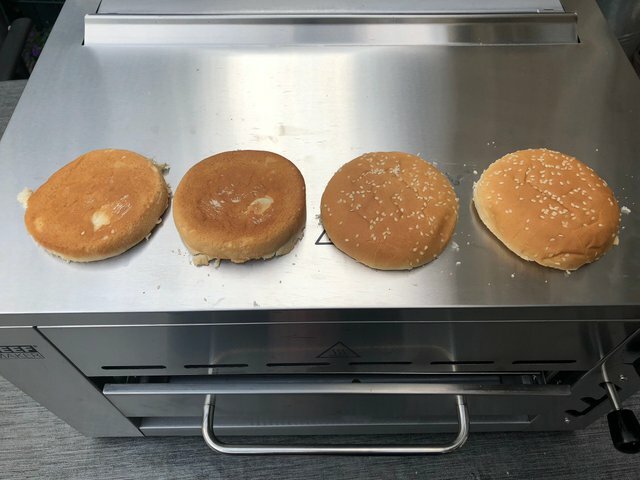 And by the way, because the device emits a crazy heat, you can toast the buns on the device. Zum Schluss aber noch ein handfester Beweis! 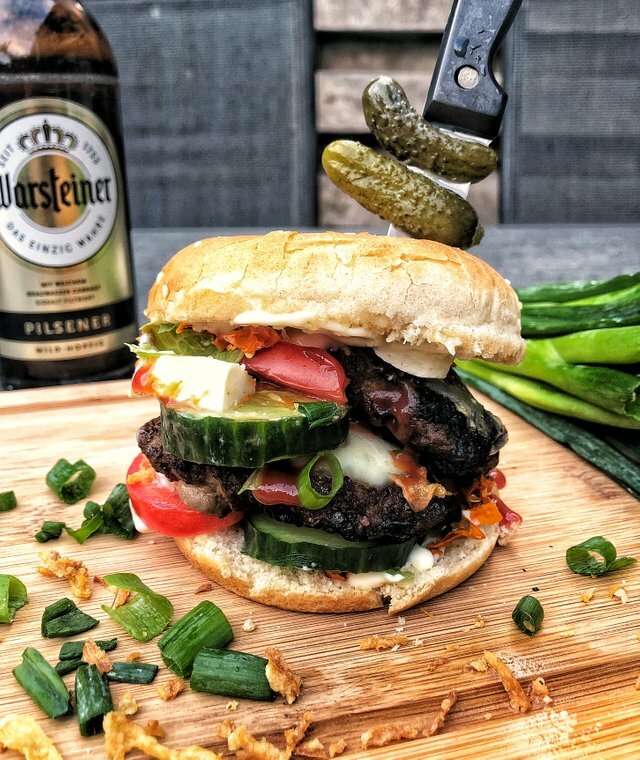 Bei der Weltausstellung 1904 wurden Hamburger vom Texaner Fletcher Davis nach heutigem Rezept zubereitet. Sie wurden in einem Patty aus Hacksteak, Zwiebel, Gurke und Senf verkauft. 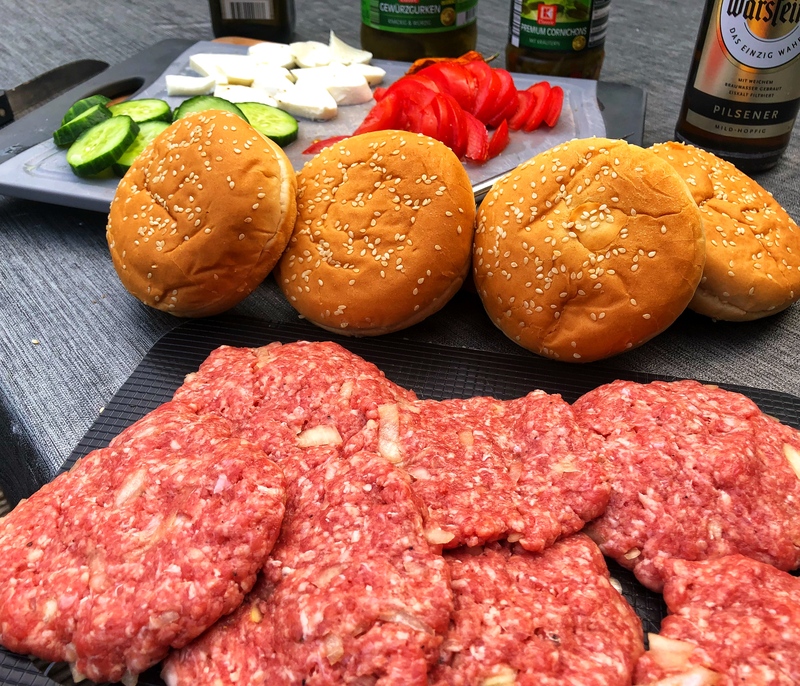 Meine selbstgemachten Burger Patties kommen aber heute bei 800° in den Beefer. 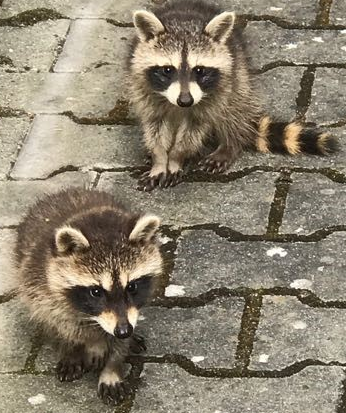 Und übrigens, dass das (der) Gerät eine affenhitze ausstrahlt, kann man die Brötchen auf dem Gerät toasten. Yes my lovely steemians, this was my little post for day 31 into the steemit #monthlyauthorchallenge​ by @future24. Ja meine lieben Steemianer, das war mein kleiner Post für Tag 31 in der steemit #monthlyauthorchallenge von @future24. That burger looks simply delicious! No matter what you enjoy in a hamburger the flavour you enjoy most is what counts at the end of every watering mouthful, you have just made me hungry. The beer to wash it down looks great in the photo. by the way my weight is nw 143 kg... no jokes . . . Even Kings didn't had it this good..
Black and white and color together . creative mind ! Looks like a professionally made burger. Impressive. Your result is looking very delicious! Interesting origin story. Somehow I never heard it before. i agree @avizor, who cares where it was invented! just give me a big delicious burger and i'm good to go! i like all the interesting info you added to the post. learn about great food and its history, very interesting. Congratulations @avizor ! You received a 1% upvote from @kryptoniabot & @kryptonia for your task of 90 SUP Today.